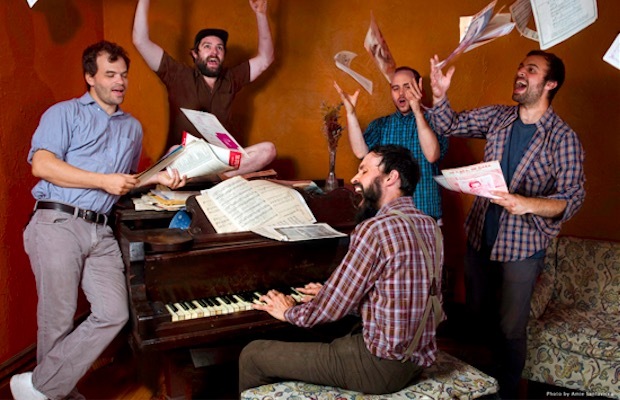 mewithoutYou are streaming the lead single, “Red Cow,” from their upcoming sixth album, Pale Horses. Give the track a spin below and leave us a comment with your thoughts! Pale Horses is set for release on June 16 via Run For Cover Records. The Will Yip-produced LP will follow the band's 2013 effort, Ten Stories. Additionally, they will be hitting the road in support of the record this summer. Foxing, Lithuania and Field Mouse will serve as support on select dates.